Davy Crockett's Almanack of Mystery, Adventure and The Wild West: GRIMM TALES - Available at Last! 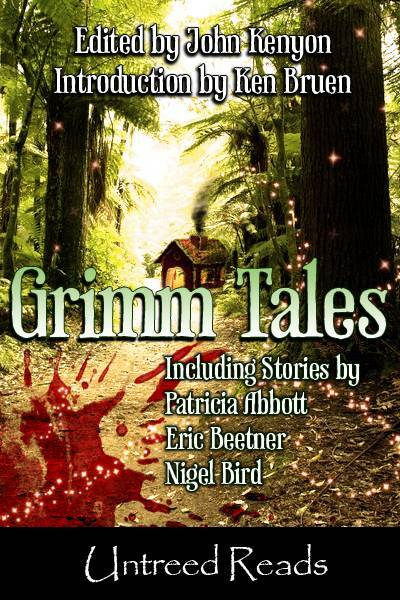 GRIMM TALES - Available at Last! 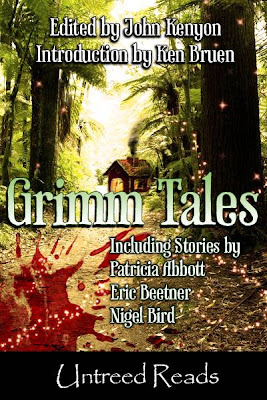 Grimm Tales is now available for your eReading pleasure from Untreed Reads. 17 crime stories based on Fairy Tales (Grimm or otherwise) for a mere $4.99. And if you're one of the few folks in the universe without a copy of Discount Noir, you can nab that at the same time for a whopping 50% off. Click HERE to order. ~ and it just got better! ~ Absolutely*Kate, dazzled outta da dark corners by these cool cats and their fairy tale jive. S'jazzin! yeah, e-book. for the upper class electronic geek crowd. Us regular folks don't get no print edition... bah. Evan who? Seriously, I'll be gitting in Real Soon Now. Looks engrossing and criminally joyful. Merry Christmas, Evan!